This 4K HDMI audio extractor lets you de-embed the audio from your HDMI video streams to create a distinct audio output that you can connect directly to a digital or analog audio device. 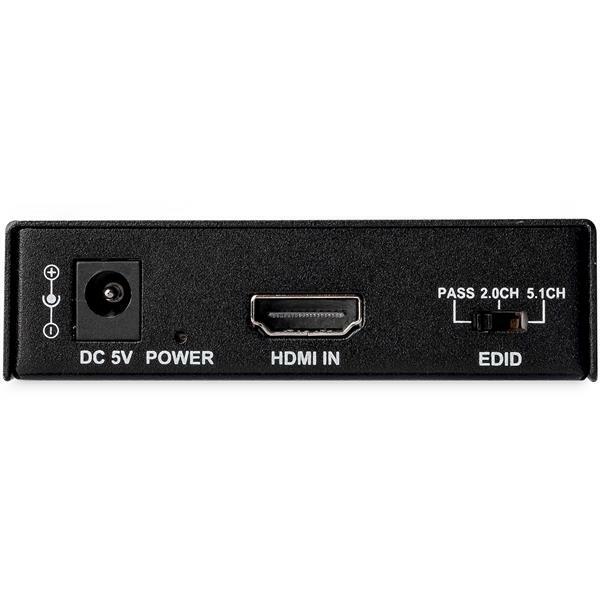 Supporting HDMI 2.0 specifications, the de-embedder maintains 4K 60Hz resolutions to deliver a seamless video experience. The HDMI sound splitter supports video resolutions up to 4K 60Hz (3840 x 2160) and high video bandwidth up to 18Gbps. 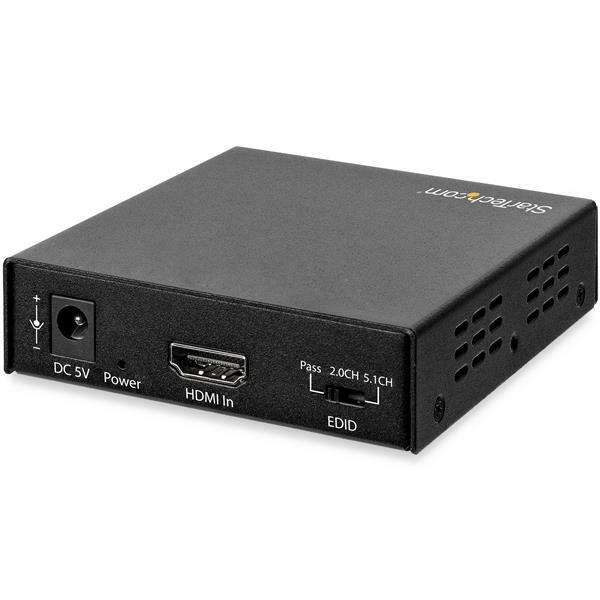 It also supports High Dynamic Range (HDR) video pass-through, letting you enjoy lifelike images with incredible contrast, brightness and color, and greater luminosity compared to standard digital imaging. 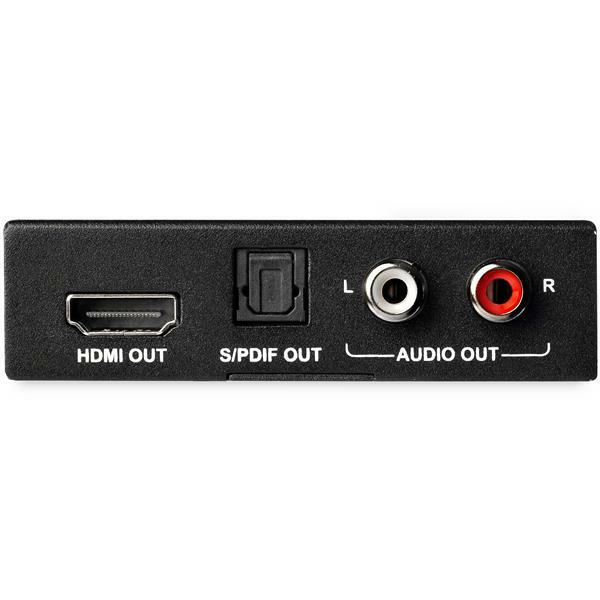 The HDCP compliant HDMI audio de-embedder is compatible with dual-RCA composite adapters, giving you the flexibility to integrate the audio from your HDMI source into 3.5 mm audio applications using MU6MMRCA, MU3MMRCA or MUFMRCA (sold separately). The compact extractor features a small footprint that blends discreetly into your hardware setup, for a uniform look. HD202A is backed by a 2-year StarTech.com warranty and free lifetime technical support.